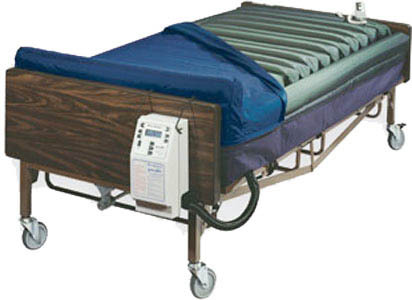 This AME BARI 6548 bariatric low air loss with alternating pressure mattress is the most advanced system in the air loss series. 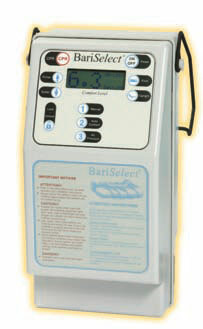 The AME BARI 6548 is designed to be used in the prevention, treatment and management of pressure ulcers. 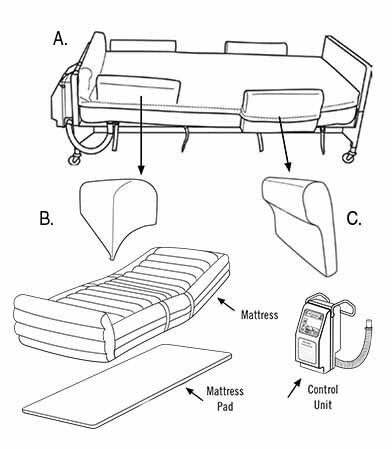 -Mattress operates in an alternating pressure mode. -Ideal for use in nursing homes, hospitals and home use. Quickset: Allows you to input the patient’s actual weight, so you can preset the pressure. Optional Hand-Held Control: Allows patient to make adjustments as necessary. Added mattress depth, extended widths and specialized software accommodate extra weight capacity. Quietly circulates air through individual cells and allows air to escape from the mattress. 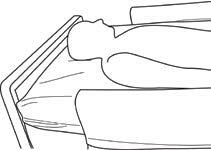 Patient can sit upright with no loss of therapeutic benefits. and circulates under a vapor-permeable cover, to wick moisture away from patient. Individual cells plus side bolsters and foot pillow. B. Foot Bolsters:The two foot bolsters rest within pockets in the top cover section only. The foot bolsters are each marked with an "F" and are interchangeable. 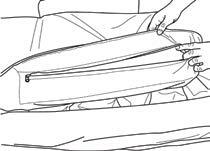 C. Foot Bolsters: The two shoulder bolsters are inserted into pockets in the bottom cover section near the patient’s shoulder area of the mattress assembly and are encapsulated in the top cover section when the zipper is closed. The shoulder bolsters are each marked with an "S" and are interchangeable. 1. Place the cover on the bed so the air hose access hole is at the foot of the bed. 3. Place the mattress pad inside the bottom section of the cover. 4. Place the mattress replacement on top of the mattress pad with the air inlet fitting positioned at the foot of the bed. 5. Locate the mattress hose fitting and feed it through the access hole in the bottom of the cover. 7. Place the top section of the cover over the mattress. 8. 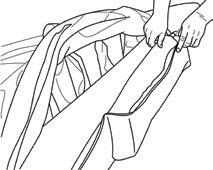 At the foot of the mattress, lift one side of the cover’s top section until the foot bolster pocket’s zipper is visible. The pocket zipper in on the underside of the cover top. 10. Insert a foot bolster so the tapered end will be facing down and away from the bed. 11. Zip the pocket shut. 12. Repeat steps 8-11 for the second foot bolster. 13. Zip the cover shut until you reach a shoulder bolster pocket. 14. Insert the tapered end of a shoulder bolster into the pocket in the bottom cover section so it will be facing away from the bed. 15. Guide the shoulder bolster into the top cover pocket while zipping the pocket shut. 16. Repeat steps 13-15 for the second shoulder bolster and then zip the cover closed. Note: If the mattress replacement has a foot pillow, tuck it into its pocket in the top section of the cover before zipping it shut. 17. Secure the safety straps on the bottom cover section to the bed frame. 18. Plug in the control unit and turn on. 19. 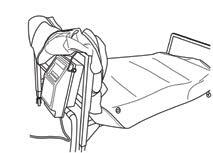 Transfer the patient onto the bed, positioning head close to the headboard and in line with the opening between the shoulder bolsters and the headboard. 20. 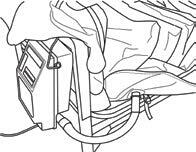 Refer to Operations Manual and the control unit for proper inflation for patient. © American Medical Equipment - 2013. All Rights Reserved.